University of Southern Mississippi received a A.
Washington Monthly's ranking of 145 out of 277 of National Universities - Overall Rank was a major contributor to this grade. "At the University of Southern Mississippi, students may choose from a wide variety of majors in the liberal arts and sciences as well as a host of pre-professional degree programs. Elementary education, business administration, and psychology are the most popular. Brett Favre is a Southern Miss alum and the surrounding town of Hattiesburg was named "America's Most Liveable Small City" by the U.S. Conference of Mayors." Describe the type of student who should not attend University of Southern Mississippi and explain why. Describe the type of student who should attend University of Southern Mississippi. Why? What is a typical University of Southern Mississippi student like? Describe the type of person that should attend University of Southern Mississippi. Students at this university are generally laid back. Thankfully, USM is generally accepting of people of all ethnicities, hobbies, and cultural backgrounds. What are the top 3 reasons someone should attend University of Southern Mississippi? The top three reasons to attend USM is (1) their amazing polymer program, (2) an exceptional band program, and (3) the spirit of hospitality and friendship among students. What was a typical University of Southern Mississippi student like in high school? Describe the type of person that should attend University of Southern Mississippi. The typical student wanted to go to college and become a part of Southern Miss. They wanted to experience everything life had to offer. In just 100 years, Southern Miss has grown from a small teachers' college into a premier research university with a national reputation for excellence in both academics and athletics. 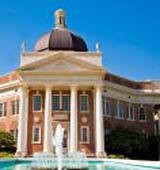 A dual campus university, Southern Miss serves students on campuses in Hattiesburg and Long Beach, in addition to five teaching and research sites in Mississippi. Southern Miss offers undergraduate and graduate degree programs in five degree-granting colleges - Arts & Letters, Business, Education & Psychology, Health and Science & Technology. In all, Southern Miss offers more than 180 degree programs for both undergraduates and graduates. Today, Southern Miss has a diverse student body of approximately 17,000 with students from all 50 states and 70 foreign countries. The university celebrates diversity in every sense of the word, using our rich melting pot of cultures and backgrounds to further enhance the educational experience that is Southern Miss. Click the plus signs below to expand the sections and get complete details, including video. What are the top 3 things that students do for fun at University of Southern Mississippi? Students typically do one of three things for fun at my school: attend frat parties, explore the local downtown scene, or take a trip out of town with a large group of friends. 50% of students received Pell Grants, which are provided by the U.S. government to students from middle and lower income families. It gives you an idea of a school’s socio-economic diversity. Campus housing is available for undergraduates. Housing deposit : $75.00. Housing deposit due : Feb 1. Housing deposit is not refunded if student does not enroll.. Freshman allowed to have car. No pets. 17% of female students live in sororities. The average student pays $12,145 for tuition, fees, and other expenses, after grants and scholarships. Total stated tuition is $6,744, in-state and on-campus, before financial aid. Learn more about financial aid at http://www.usm.edu/financial-aid. Estimate the net price for you at http://www4.usm.edu/admissions/financialaidcalculator/. 45% of students graduated in six years. The typical (median) early career salary of University of Southern Mississippi graduates is $37,600, according to Payscale. University of Southern Mississippi participates in the NCAA Division I-A for college athletics. Want more info about University of Southern Mississippi? Get free advice from education experts and Noodle community members. Can I pay for only the invitation then after I get to the campus continue with my admissions? I'm sorry, I'm afraid I don't understand your question because I'm not sure what you mean by "invitation".